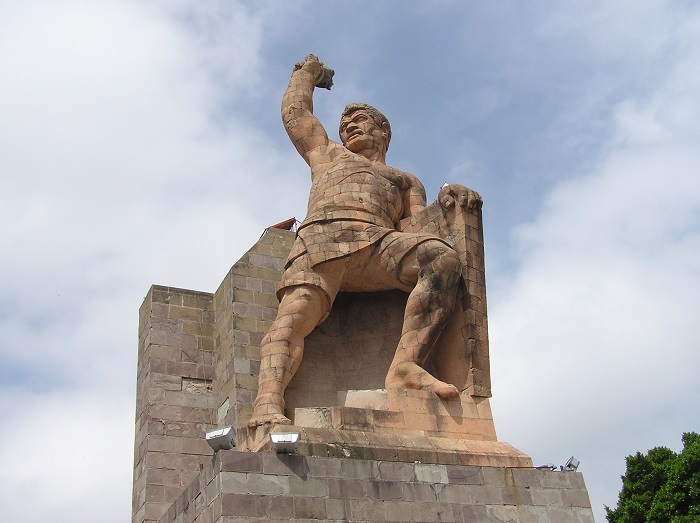 El Pípila Monument is a prominent stone monument that depicts a muscular man that is located on a hill overlooking the city of Guanajuato, in the Free and Sovereign State of Guanajuato, within the central part of the United Mexican States. 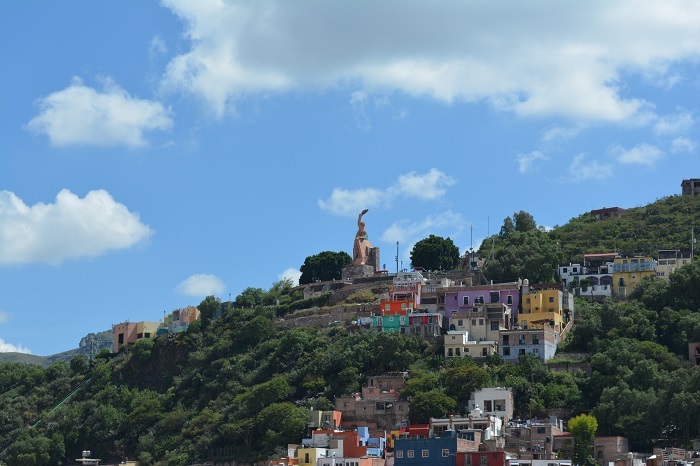 The name is derived from the nickname of the local hero, Juan José de los Reyes Martínez Amaro, who in an act of heroism at the beginning of the Mexican War of Independence torched the door of the old grain storage building in the city, better known as Alhóndiga. 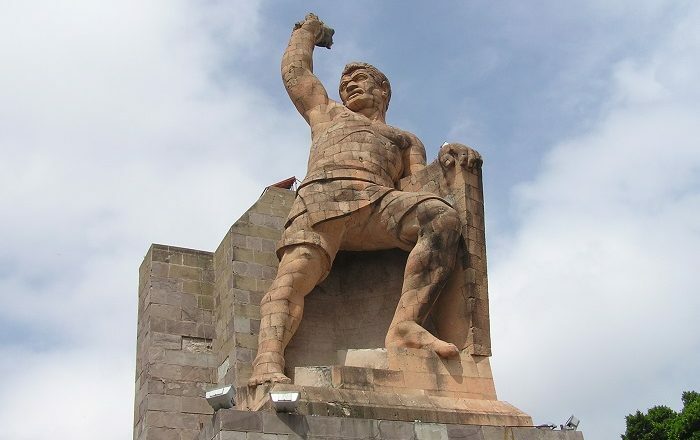 This motivated the far great number of insurgents to storm inside the building and kill all of the soldiers who were protecting it, together with the civil Spanish refugees. 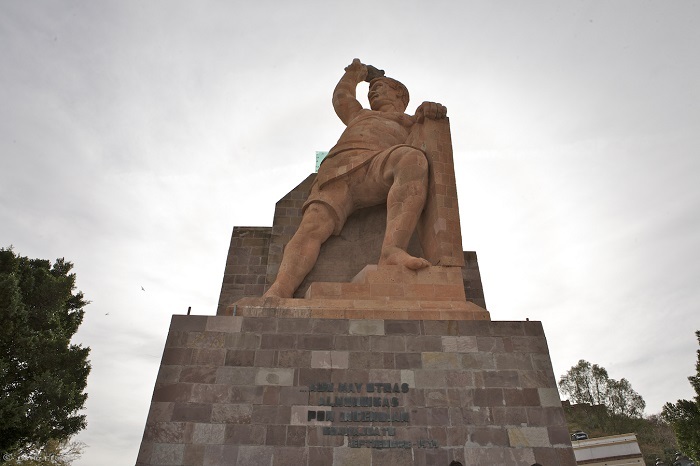 This nowadays is considered as one of the first battles which were won against the Spanish Empire. 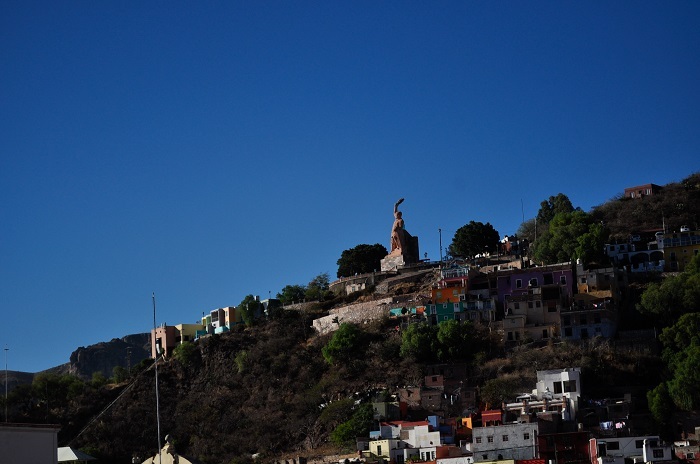 Still, this interesting monument rightfully stands above the capital city of the state, giving an interesting vantage point of the entire area for the tourists to enjoy a bit more in the surroundings and learn the history of the city. 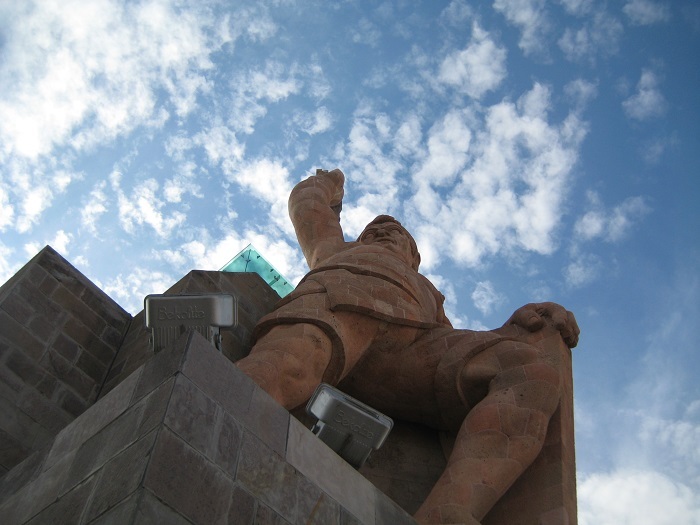 With its astonishing 20 meters (66 feet) in height, it was constructed in 1953 entirely of pink sandstone in the very classical representation of El Pípila with the flame in his right hand. 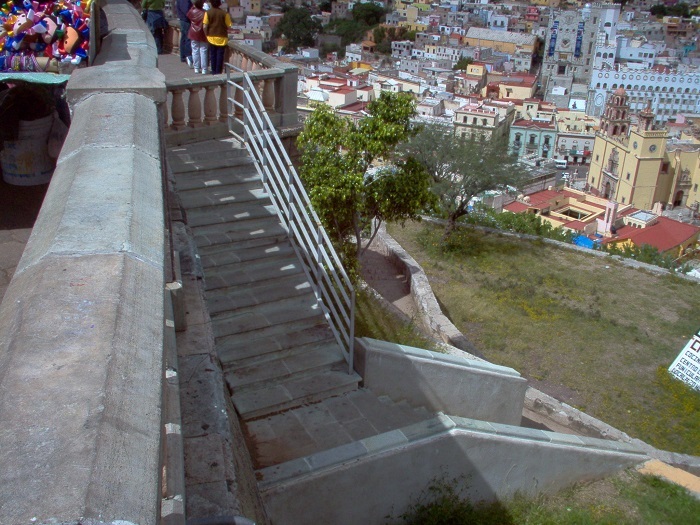 Funded by the state government in coordination with the local council, there are several steep steps that lead to the top, however, there is also a funicular that is taking visitors to the base of the monument. 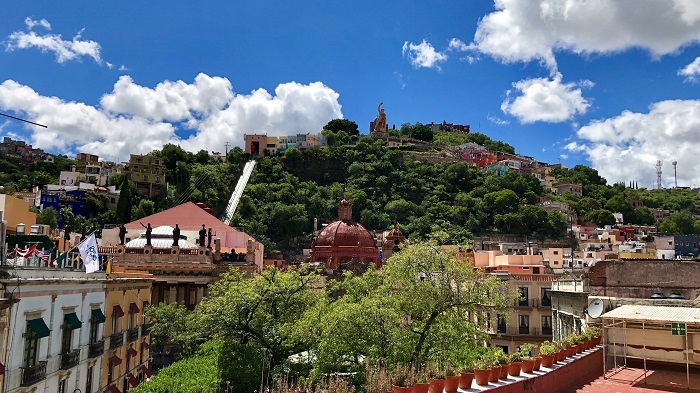 At the base of El Pípila are series of broad stone plazas which provide plenty of space for the visitors to enjoy in addition to the small market-looking gift stalls together with some Mexican food restaurants. 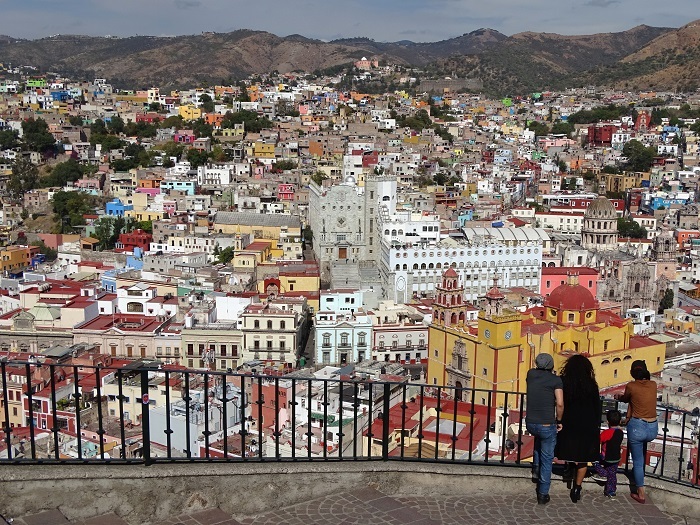 All in all, a true historic landmark of the city which is popular not just for the local Mexicans, but also for every single visitor coming to this city in Central Mexico.